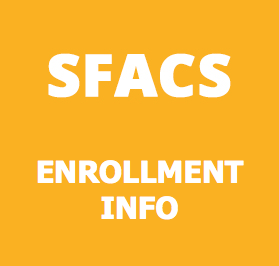 What is SFACS? Watch and find out! SFACS- A Day in the Life from The Beach Channel on Vimeo. Join us at our workshops on Saturdays! We cover a wide range of topics including Autism, behaviors and ABA. Workshops are open to the public and free of charge. Click on the link below to see our schedule! Students enrolled in K-12 may apply at any time during the school year. Click on the link below for more information! Parents who wish to visit our school should contact our office at (305) 823-2700 ext. 2413 to make a reservation. Before scheduling a tour, we recommend that you read the Curriculum, Enrollment and Frequently Asked Questions sections of this website. Clinicians, Educators and representatives of community organizations are also welcome to contact our office to schedule tours. We are pleased to announce that SFACS will move to our permanent campus during the 2018-2019 school year, located at 3651 West 108 Street, Hialeah, Florida 33018. If you would like to provide any feedback, please feel free to contact the SFACS Governing Board at (305) 823-2700 or assistant@sfacs.org. We are pleased to announce that the SFACS yearbook can now be purchased online! Click here to place your order! 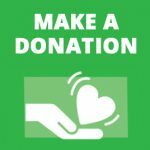 South Florida Autism Charter School provides education and therapeutic services to individuals diagnosed with autism spectrum disorders (ASD) residing in Miami-Dade/Broward Counties, targeting students with communication deficits and/or behavioral challenges, and who may require training in self-help skills. The methodologies of B.F. Skinner’s Theory of Applied Behavioral Analysis (ABA) and Verbal Behavior (VB) are applied in conjunction with State Standards for students on a modified curriculum in order to provide the most effective individualized educational programs possible. South Florida Autism Charter school does not discriminate on the basis of race, color, national origin, gender, age, disability, marital status or genetic information in its educational programs, services or activities, or in its hiring or employment practices.